Freeway: Crack in the System (2015) – What's New on Netflix Canada Today! 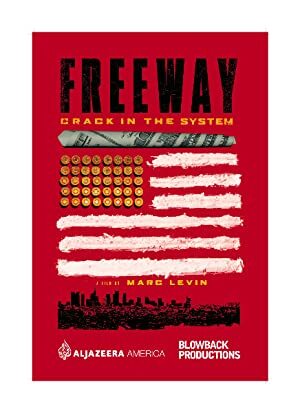 FREEWAY: CRACK IN THE SYSTEM tells the story of broken dreams, drug dealers, dirty cops, and government complicity-more compelling than fiction, it’s the real story behind America’s longest war. This documentary by award-winning filmmaker Marc Levin (SLAM, Mr. Untouchable, Brick City) exposes how the infiltration of crack cocaine destroyed inner-city neighborhoods across the country. At the center of it all is the rise, fall and redemption of Freeway Rick Ross, a street hustler who became the King of Crack, and journalist Gary Webb, who broke the story of the CIA’s complicity in the drug war. Featuring exclusive interviews with Freeway Rick Ross, not to be confused with the rapper who took his name Pulitzer Prize winning journalist Gary Webb, his source Coral Baca, and wife Susan Webb former Los Angeles Deputy Sheriff Roberto Juarez drug trafficker Julio Zavala and many more. The real Rick Ross is not a rapper. He’s an urban legend in South Central LA, a black godfather figure whom most people have never seen, but know by name and reputation. He’s ‘Freeway’ Rick Ross, the man who stood at the center of the crack epidemic, and whose name has been inextricably linked to the CIA-Contra-Cocaine connection. His story defies all odds and stereotypes and proves that truth is indeed stranger than fiction.